making space for future narratives. BECOME A SPONSOR OR MAKE A DONATION. For the first round of this project, we’ve teamed up with nearly 50 contributors (artists) from across the country & we’re sending them on paid assignments to research and document the narratives of our communities. Becoming a sponsor for The Librvry is a form of collaboration with our mission that not only ensures that our narratives have space to exist in the future, but we’re able to reclaim ownership of our images and control the narrative through an ethnographic approach to research and documenting. Through these resources, we’ll be able to bring these images back into the community with cultural enrichment programs, workshops, and screenings. Our sponsorship packages are uniquely tailored at various levels to ensure that sponsors and the community archive thrive to achieve our social awareness, preservations, and funding goals. We ask you to consider becoming a sponsor or make a donation. Photographs from the Englewood (Chicago) Live Projection community event in collaboration with Tonika Johnson, Borderless Studios and Zakkiyyah Najeebah. In 2015, Renata Cherlise founded the Blvck Vrchives collaborative platform, which has allowed Cherlise the ability to create work and unearth photographs buried in the archives of major publications and institutions. Over the last few years, Cherlise was been hired by several clients, including Ms. Lauryn Hill, to source and license content for short documentaries, television series, live performances, and tours. 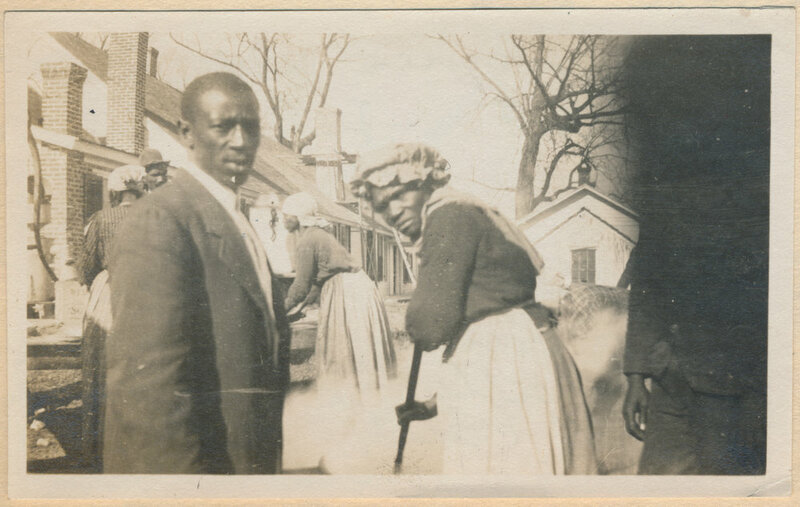 During this research, it became evident that the process by which archivists and artists documented and preserved the images of Black communities could be revamped through a collaborative model that would offer both, the original content creator, as well as the community that the work represents, a form of residual benefits through a rights-managed (RM) archive for purposes of research, editorial, commercial, and non-commercial usage. This is phase I - building the archive. Over the course of twenty years, Parsonage has collected over 10,000 photographs. In collaboration with THE LIBRVRY, a selection of the found photographs from Parsonage’s collection will be made available for research and editorials. Matagorda, Mississippi. 1924 Aunt Salie has been on the Plantation since 1865. Courtesy of Dawn Parsonage, collector. Matagorda 1924 plantation notes. Courtesy of Dawn Parsonage, collector. A curated experimental short film exploring Dr. Martin Luther KIng's influence in America.